The Aluminum Low Side is clean and light weight. It is thoughtfully designed to haul a variety of toys, including motorcycles, trikes, ATV’s or golf carts. 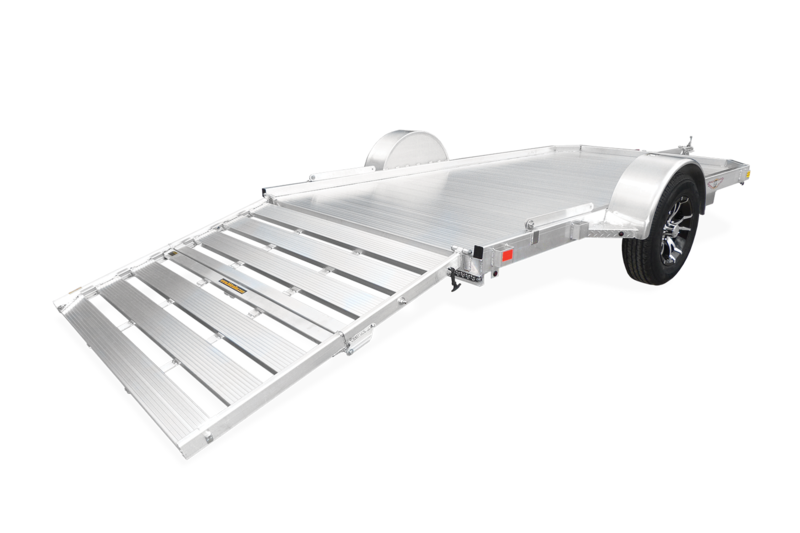 It features a full aluminum extruded deck and bi-fold gate. 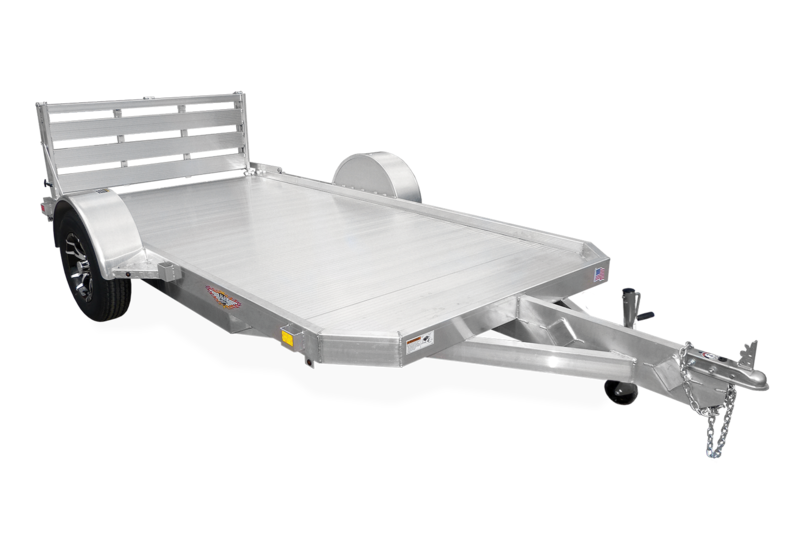 The torsion axle provides a lower deck height making it easier to load. Plus, it is outfitted with aluminum wheels for a sleek look. 78" x 10' 54 1/2"
78" x 12' 54 1/2"
78" x 14' 54 1/2"
78" x 10' 45 1/2"
78" x 12' 45 1/2"
78" x 14' 45 1/2"
78" x 10' 16 1/2"